Do you work for Lucidpress? Learning about Lucidpress? We can help. "I love Lucidpress! So affordable and so easy to use." Wow there is a lot that I love about Lucidpress. To start, it is extremely affordable, which is key when working for a nonprofit with a small staff. It is also extremely easy to use. This is really the first design product I used in my communications/marketing role, and it has been a lifesaver. I have used Lucidpress to create brochures, booklets, social media images, banners, flyers, etc. There are a ton of starter templates that are really helpful when starting a design. I'm able to use those for inspiration and cater them to my brand image. Can't say enough great things about this product! The only complaints that I really have with Lucidpress would be resolved if I were able to move up to the Pro account. This would give me more template options and more storage in my account. One thing I wish they would add is an image gallery with icons and illustrations that could be used in my documents. That's the only thing I really find myself needing when using Lucidpress. If you're looking for something cheap, easy to use, and high quality, Lucidpress is an amazing option! I am able to design so much print and digital content with Lucidpress, and at a very low cost to my organization. The ability to create documents and templates that are accessible to a team is huge. I like that I can save brand colors and fonts, plus the interface strikes a good balance between easy to use and powerful. There seem to be some basic features that are missing, like a scale tool to allow you to shrink/enlarge text boxes and other elements at once while keeping the design intact. I also found the mailmerge feature (for postcards, etc.) to be extremely dysfunctional. I wanted to test it out along with the ability to send them to their partner for printing/mailing. It created a copy for each address and filled my cart with almost 200 items, and there's no way to easily delete them all from my cart—you have to do it one by one. It would be so time consuming to clear it out that I've just left it for the past several months, hoping that eventually there will be a "clear all" button. That leads me to how terrible support has been. It's extremely difficult to get in touch with actual support staff to help me solve issues like the mailmerge one, and when I have gotten a response it's been something like "please submit a request for that feature using this form." Truly, the lack of responsive support has soured my experience and turned me off from investing in the enterprise version of this product for my company. Also, the HUGE jump in price to go from the Team plan to Enterprise is crazy, and I wish I could add more people to the Team plan. It's made it easier to create templates for documents that all employees have access to. Lucidpress presents an easy user interface that mimics much of the functionality of Adobe InDesign without the price or complexity. The pre-made templates are nice-looking (although I don't use them for my purposes), and there is a good selection of professional fonts. The cloud storage with the ability to log on from anywhere and work on the project from multiple devices is a life-saver when I have a big project. Need a better search function for text within the document. I wish you could download the files in Word or some other editable format so I don't have to copy and paste the text, or do it as a PDF. I originally purchased a subscription to Lucidpress to design a large book-sized publication (more than 200 pages) at my college. It offers all the functionality I need to create a graphically pleasing, well-designed, ready-for-print piece. It also offers the option to download for the web. It is very user friendly and easy to use. Especially for someone who doesn't know much about graphic design/publishing but needs something a little more artsy than Office 365. And the basic of the basic version is free! Some features are only available for a subscription. I don't use it enough to justify that cost so I find work-arounds to get the job done. I totally understand why they require payment for some features though, so this isn't a huge issue for me. As far as I can tell, this is a great product. Pretty self-explanatory for use and ease of access is fantastic. I don't have much experience in publishing but I've found the need for something that will allow me to do more and "assist" me to do more than Microsoft Word. Lucidpress has done a fantastic job and has proven to be a great resource. As far as I know, I'm the only one that's using it in the company. We are a small company and our graphic designers use other programs (to my knowledge). It's been very handy when I need to make diagrams or little fliers that aren't very complicated. I love how it gives several options when publishing or printing. "Impressive abilities and potential for growth"
My favorite aspect of Lucidpress is the simplicity. Almost any user can create clean and branded materials. Pair that with the Approval capabilities and it's a win-win! Consider not only the time-savings of staff having the ability to create their own materials, but also how much that time is worth financially as your design team can focus on larger projects. Speed. Program staff are able to quickly get small or minor projects completed on their own; right when they are thinking about them. Rather than their request being placed at the bottom of the Marketing Department's to-do list. "Easy to use publishing platform"
I would like to be able to resize the page borders and to type directly onto the document --the newsletter I create for my school. I always insert a shape and then type within the shape. If there is a way to type directly into the document I do not know about it. Easy to use, easy to incorporate photos. 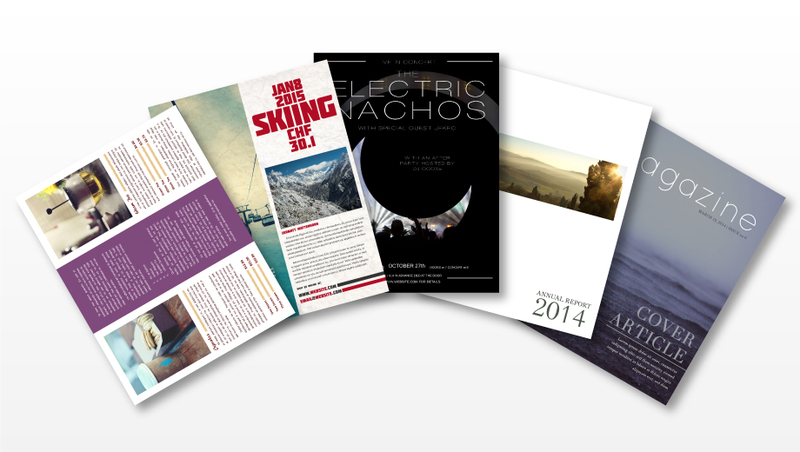 Our finished newsletters look impressive! We did not have a problem before using Lucidpress. I am using this platform to create our school newsletter. The benefits from doing this with Lucidpress are better PR for our school and increased awareness of what is going on in our building on the part of our invested community. I really enjoy the fact that Lucidpress is user-friendly. I run the admin account for our company with about 80 users. Most of my users are NOT tech-savy. All I have to do is run through a quick Lucidpress walkthrough with my users and they can grasp the system pretty quickly. I get through a walkthrough pretty quickly with them because of how simple it all is. The only thing I dislike about Lucidpress is the fact that it isn'y advanced as InDesign, but it definitely works for my company. Ine thing I would like to see is InDesign's feature to turn text into outlines and be able to transform that outlined text. The font we use at our company has one letter that always comes in backwards, so it would be nice to be able to convert the text so that I can flip the backwards letter. Definitely use Lucidpress to streamline any marketing processes! It's a must! I am using Lucipress to create an automarketing system for our company. We have over 100 employees, and it is unrealistic for me as the creative designer to keep up with all of their individual and specific marketing needs. Lucidpress allows me to create all of the templates each user needs, without having to update each user's marketing content. This has saved me a ton of time, which I can now use to focus on growing our marketing campaign for our employees. "I Already Feel Like a Pro!" I made the decision to publish a local magazine called Weddings, MT but had no idea where to start! I found Lucidpress and dove right in, finishing it in less than 3 weeks! There is a lot to learn, but Lucidpress gave me the tools to create a professional looking magazine that I'm proud of. Since then, I have created posters, social media posts and flyers, and I'm already gathering ideas for the 2020 edition of Weddings MT. I would highly recommend Lucidpress to anyone who needs a great resource for creating printed materials! I haven't checked this out, so maybe it is available... it would be great to have a video showing how to use all the basic tools as well as advanced tools. I'm sure I could have created my magazine in an easier way if I had known more about the tools. I realize there is a HELP button (which I used, trust me!) but most of us are visual learners and sometimes I didn't know what questions to even ask. I can create my own social media posts, posters, flyers and even a full magazine! I love that I don't have to hire someone else to do it. And I really love that the final product is MY vision, without having to send proofs back and forth until they get it right! "Free version allows me to do what I need"
I like the ability to design and upload as many fonts as I need to create a quarterly newsletter. The prints always come out high quality through our local printer. The free version limits the amount of pages you can design and it limits the photo size you can hold and save.I know that the company would like to charge for services, however the photo limit restricts what I can do with the free version. Though, I am usually able to get by if I use less pictures and delete all of the pictures I've used for previous projects. Lucidpress has allowed me to produce high quality print materials without needing to use publisher. It has helped jump start my creativity and I love that it is cloud based. LucidPress is a great resource to streamline processes for companies that have a lot of design projects. I've found it extremely user friendly, the interface is simple and can easily be organized into projects. LucidPress has completely taken over our office for design and given our Marketing/Design team a break when we need to have small projects completed by just doing them ourselves. The only thing I dislike about LucidPress is having to resubmit documents for approval if I reverted anything back to the original content. I understand the process, but just a small inconvenience. Using LucidPress has solved the issue or slightly off branded documents and materials. When everyone was using Publisher or some other type of software, our branding as a company was just slightly off. LucidPress has given us the freedom and assurance that everything we put our name on has the correct branding. So easy to use! Great replacement for Pages! Nothing so far! I love that I can use it anywhere! I'm currently using LucidPress to create my school's student newspaper. I had been using Apple Pages during the previous school year, but I kept running into formatting issues. I didn't like how last year's paper was laid out, and I kept getting more and more frustrated by it. Publishing day came, and I was not happy. I started doing some research: online publishing programs. The first result on Google? LucidPress. I gave it a try, and I could not be happier. I'm using the "Classroom" newsletter template. It was so easy to change the colors and the banner to match my school's colors. Formatting is a breeze. So is inserting pictures. I love using it, and I love looking at the final product. After I published the first edition for this school year at the end of September, I spent probably too much time just looking at the final result. I'm so happy! The ease of use. I am able to produce a product for my customers quickly and efficiently. I love how the templates are easy to customize and also the variety of alterations available. It is definitely one of my top, go-to platforms to complete projects. I also enjoy the ease of sharing; its nice to be able to talk to my clients as I am designing their project! They enjoy that they can offer input as I am working and it ultimately saves me time! This app doesn't have many dislikes for me. One thing I would suggest to make it better is to allow more adobe integrations. I love how lucidpress has a feature that merges with Adobe Indesign! Just add the other Adobe programs, like photoshop and Illustrator. I would love to see Lucidpress allow a way for me to bridge more of Adobe; I would be able to create my clients' logos and give them more hands-on input in the development of their brand. If you are considering Lucidpress for your business, the best thing to do is to just try it out! The great thing about them is they let you try out the features for free and then you can upgrade to a single user for just $5.95 a month if you want more features! My company, Hummingbird 111, is tailored to deliver quality business solutions for small businesses. Being that most of my work consists of graphic design, lucidpress allows me to be more efficient in my design process! I am able to take on more clients because I can get more done with lucidpress templates. In short, more productivity in less time! I am a perfectionist in my work and I find it difficult for me to be totally satisfied with my work, however with Lucidpress, I have been more satisfied with my work than ever. My clients are happy and they share with others, which helps my business grow. "Very reliable and easy software." -First this product is very much affordable and very easy to get used. Again this product does a lot for the user. You can create the following with the software, banners, social media images, documents, and many others. It allows the user share the projects among the team for everybody to share if any opinion. Production of professional and presentation clean documents. Lucidpress, creates almost any material which its designed or created for business marketing or promotion. Ability to restrict and allow any design change. As for Lucidpress has been doing a wonderful and excellent job for and so far no issues. Lucidpress is the most easy and reliable product in creating of different materials and designs for business marketing purpose. Quick designing and creating of different material for business marketing. Enhancement of business production. "SO versatile for all my business docs!" I started using this for newsletters, but I quickly found I could use it for a wide variety of documents. I teach some topic-specific seminars and I use Lucidpress for my handouts and slick looking quotes for clients. My only gripe is that Lucidchart is a separate program/fee. I occasionally need a flowchart so I signed up for it once and really liked it. However, I only use flowcharts a few times a year so it seemed silly to pay a monthly fee. I wish there was a discounted "add on Lucidchart" option for existing Lucidpress subscribers. Seems like a bit of nickel and diming to make me pay two fees. Spend some time with it when you first begin to use it, it has many features you can overlook if you don't know they are there. My customer facing and client facing documents looks much more professional without me having to pay a graphic designer every time I need a document made. I've had many compliments and many people inquire about what software I use. "Finally, Beautfiful Presentation & Document softward for the DIY'ers!! " Templates, I like templates best. It is very hard to combine the right fonts, sizes, colors, page design, etc. to create an interesting and creative presentation. They look very professional when finished. I really love that I can publish them as an E-document. THAT alone is SO great. My prospects and clients can download a PDF on their end if they want and we don't have to worry about sending with an intermediary like wetransfer or dropbox. I am in sales, so the easier it is the better. Without an internal marketing team to create knockout presentations for us, we have to create it ourselves. I have purchased powerpoint designs in the past but this is just SO much better and so easy. We have totally up'd our image - what we do is really shining through in each presentation. I would like to have more creative charts and tables like in Powerpoint. I would also like to import PDFs and Excel files. Right now I can only import as a photo (i think) so fine print does not come over well. We include some detail in some of our print submissions and it is difficult to convert files and pull them in and make them look as good as the rest of the presentation. This is by far the best solution I have found and I looked at several options. InDesign was too much for me although great. I do not want to design these myself! I like the great templates. We are always looking for creative and fresh. And for the price, I cannot beat it. Even my CEO is convinced! I am solving Marketing problems. How well we communicate and how it speaks of our quality and professionalism - and creativity. Internally, it has raised the bar. Our entire sales team has higher standards for our presentation and image now. What used to be HARD, is now pretty easy. We can spend more time on the content and less on the design. Bottom line, we are winning more jobs - I give Lucidpress some credit in that! Everything! But seriously, the "smartness" of the tool is fantastic. I can move images, text, layout around with ease. It "gets" me. The templates offered are fresh and attractive, and I truly enjoy experimenting with them for the best fit for each project. I look forward to each and every project with this tool because it's fun! There's nothing to dislike. Lucidpress is easy to use and I really enjoy creating projects in the system. If there's anything that I might dislike, it's just the timeout feature that makes it inactive if I hop over to a new browser--but it's really not a problem. It fires right back up and saves my work as I move along. I've never lost work because of this "inactive" status. It's fantastic and makes my work look professional. I create a lot of collateral for my company and I also create a State-level newsletter for an organization I'm involved in. The organization has taken first place in the nation with a newsletter I've created using Lucidpress. Everyone is impressed with the document and it looks great in its digital form and in print. I've also created a number of very attractive trade show invitations, including built-in QR codes, and importing images/logos is so easy. The sales team is able to easily follow up with leads by sending them our digital solutions magazine--and we can password protect it. It's so easy! "A great tool for designers and non-designers alike"
As someone who does not have formal graphics training, I love that I can easily find what I need to create beautiful presentations and proposals quickly. I can create a template that can be used over and over and find the assets I need all in one place. There are times when the program slows down my browser or my computer significantly. Although I have found a workaround (not having as much running at the same time), I was a little frustrated at first. Give it a try, and give yourself time to fully explore its features. Our use of it has grown tremendously over the last few years and it's just gotten better and better. We use LucidPress for proposals, presentations and contracts. Again, the template feature is great, as well as the duplicate. So if I have a new proposal that is almost the same as a recent one, I can just duplicate and replace the information that is relevant to the new prospect. This online application doesn't require you to install any tools. You can access all your projects from anywhere. Creating a lively and professional design for a presentation template or logo is easy. There are also many design templates that are easy to modify and require little effort to work with. I dislike that I can't upload a document to the system to create slides and publications. I have to cut and paste all the text page by page. If I can simply upload the entire file and then use the formatted page layout later, that would be very helpful. I'd recommend this software for beginner and advanced designers that want tools to get designs published quickly and with high quality. Having many templates available was really helpful and there are lots of interesting creative designs. I found it much simpler than using the Adobe software, which I sometimes find a little difficult and time-consuming. "Perfect for the person who doesn't care to learn another tool"
It's simple. It's web-based. I have no experience with any of the more powerful design software, and Lucidpress worked perfectly for my needs. I've used it for brochures and flyers with great results. The final products looked professional and can be updated in the future with ease. It doesn't take long to use of the storage allotment in the free account, but it's definitely worth paying at least month by month for the times it's needed (I only need Lucidpress every few months) to get that extra storage space. Needed a simple tool for brochures, banners, and other basic web and print designs. This has allowed me to get them done quickly without getting bogged down in endless minor adjustments, while still offering the features I need. "Make the design process a lot more user friendly"
I like that platform includes many feature rich templates for many different occasions. The smart templates also include all of the information that is already attached to my account. I dislike that many of the features I use such as custom font are only in the pro plan. It is still worth the month if you use these features as often as we do. Give this tool a try. We came from using lucid charts we we know the company create great products for small and large teams a like. It allows me to design on a user friendly platform when the design is backed up with more important work. "Excellent Tool for producing your Annual Reports"
Ease of use. The Templates are a great starting point. Easy to collaborate with others. Very affordable! We used a standard template and had the majority of the report done in under two hours. The we of course obsessed about it for days. Nothing. We have no complaints at all. We were able to get started right away and everyone found it easy to use. Get this product, you will not be disappointed. There is a free trail available. Saves time on producing the annual report. We can get input from multiple parties on the content and all can edit. "Review on the "Basic" Program"
I wish there were more shapes to choose from and that the "basic" program allowed the ink to print in CMYK colors. That is a huge bummer. If you want a design software product that will create quality print jobs this is for you, however, if you want more shapes or don't want to spend extra money for CMYK printing by choosing the premium option, then maybe it's just best to use InDesign or Illustrator. I am creating a very nice newsletter, invitations, flyers with ease. It's nice to know that I can print something that looks great and inspires people to participate in my events! "Billed for two years after free trial expired and did not use account"
I liked that this could be used to creaet a Kindergarten memory book. I disliked the fact that I was charged after the trial period for 2 years without a bill and customer service did not resolve this. I registered to use their online program for their one month free trial and then a one month extension payment of one month where I clicked that I did not wish to subscribe to their monthly payments which were $5.95 subscription rather than the $9.95 fee for the month use. They continued to charge me$13.12 monthly for two years without sending a bill or without my consent. They can easily verify that I have not used the account other than that one month. When I emailed about this issue they reimbursed me one month of the 24 and said that is all they can do which is not satisfactory and does not resolve the issue. I am a teacher who used the program with some parent volunteers to create an online Kindergarten yearbook and so having to pay $314 from my own pocket to something I specifically did not want and then having zero help from billing has been quite awful. I would recommend any other program that has good customer service and does not charge people illegally. We appreciate your review! We apologize for the lack of communication you received with your billing. Each month, we do send a payment receipt to the email used to create your Lucidchart/Lucidpress account. It sounds like the email we have for your account might be mistyped or are going to your Spam folder in your mailbox. As soon as you see a charge on your bank account that is unknown, please reach out to us and our billing department will be happy to send you the invoice and explain the refund policy. You can reach out to them at support@lucidchart.com or support@lucidpress.com. 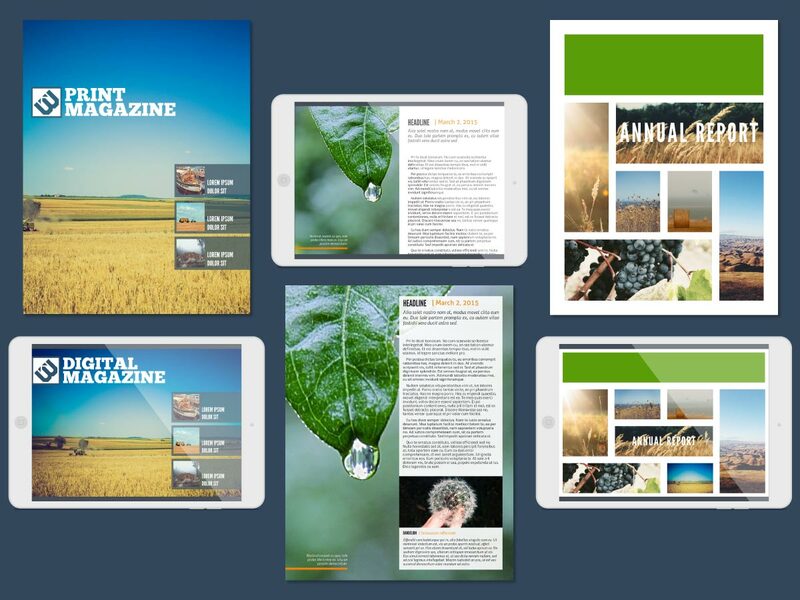 The templates make it easy to create color, professional publications for a variety of uses. I have used it at the recommendation of a fellow educator and have been pleased with the quality of designs I'm able to create with a free account. I also like the web-based platform and that it automatically saves my work as I go along. I dislike the limited number of templates available for the free account. It would also be helpful to have more templates that were focused on education. Take some time to experiment. It is easy to learn! I am able to disseminate information to my colleagues easily and quickly. The information is organized perfectly and is visually stimulating. "Great tool for any career or personal use "
I use Lucidpress for my weekly newsletters for my Kindergarten classroom. It’s to send home and let parents know what our lessons and units will be about and also to provide information on upcoming events. Lucid Press was the only thing I found that worked for me and provided great layouts for newsletters. It’s easy to add new text boxes, move them around and add other fonts and pictures to keep it interesting each week! I also have used this for making crafts at home and it has been wonderful! The only improvements I could suggest is when inserting an image into my newsletters I have run into problems making it fit or changing it’s size without parts of the picture being blocked out. I have tried unclicking on the lock speck ratio and that will help it not to crop the image but it won’t allow you to stretch the image to fit. If you are considering using this software my advice to you is try it! If you have. Google account they make it easy for you to add on to your account and save any progress or work you do! I have solved my issue of spending large amounts of time re creating or managing a newsletter in other apps such as word documents etc. Lucid Press allows me to easily duplicate my layout previously made and quickly change the text information for my students parents for that week! I have gotten many compliments on my newsletters from parents and other teachers. "Lucid Press - collaboration made easy"
Lucid Press has a variety of templates - I have used mostly newsletters and brochures. All the documents can be worked on collaboratively which makes Lucid Press great for the classroom. Students can create and work on the same document from their own computers simultaneously. I sometimes find it hard to get the brochures to print the way I want. Trying to get the front and backsides facing in the right direction can be a little tricky at times. Play around with it first. Try different options. Think about how it will look when it is printed out. When working with students, I see that they often forget to think about the final layout. With a brochure that the front page is not in the same order that it appears on the screen. I often ask them to use a paper to fold and see which panel belongs where. It would be good if that appeared on the template - that is that lucid press said front cover, back cover, inside pages etc so that if was clear where you are working at all times. Otherwise is is quite simple to use and just a matter of trial and error. Students have access to the documents even if one of them is not in class. All the work is shared through google docs and is easy to access from multiple computers. No more - we can't do anything because one group member is absent. I love the fact that Lucidpress is very easy to use. The first time I used it, I felt a little intimidated because it was my first time working on a newsletter for one of our teachers. I was very impressed by the ease and how professional the newsletter turned out. I also love the colorful options available for different types of documents. I honestly have had no issues with anything yet so I'm very pleased I have found this site. I highly recommend giving Lucidpress a try. It's fun, easy to use but it makes the documents look very professional. I like the fact that there are different documents to choose from and you can make it your own. I will definitely keep using Lucidpress any chance I get. We currently use Lucidpress to send home a monthly newsletter to our parents, we give them information about what the students are working on and also give them important dates to add to their calendar. It helps our teachers look more professional and organized also. I'm in charge of translating the documents and it's easy for me to go in and enter with ease all the information in Spanish. "Coming from an Adobe background, I think this is a great easy-to-use tool for the average person." I love that it is very user friendly making it easy for a non-designer to navigate and create material. It has all of the basic needs of creating designs and is not as complicated as Adobe Indesign. I also love that it is an internet based program. Having a cloud storage system for my work and the ability to share and collaborate with other people reminds me of google drive. Though I can see the value in this program to the average person that isn't trained in graphic design, I do prefer the expansive capabilities that the Adobe suite offers and Lucidpress is limited to. A couple things I miss having is a pen tool and masking tool. If those were incorporated I would give Lucid press a 10. In order for me to be able to solely use Lucidpress without any other program, I would have to have a pen tool, masking tool, and photo editing tools. If you are well versed in other more advanced programs such as the Adobe Suite, you may find a few draw backs and isn't meant for you. I have been creating illustrative and inspirational posters, advertisements for print and social media, brochures, for internal paperwork documents to spice up the look, and I have even to simply resize/crop and image. They do a great job with all the tools they give you. They also have a very nice selection that they offer, although some of them are "premium" the ones that are free are just as great, and you can always create one from scratch! Not much except for the interface. Sometimes it can be a little disorganized. Change the interface and it should be perfect! School projects are mostly what I do in a hospitality class. It is really the ONLY place to go for creating brochures and pamphlets. Although they do offer other things, it's mostly used for this and this is what it is best at. "We have had a great experience and will continue to use Lucidpress as our main printing vendor." I loved how easy to use the program itself is! The editing tools are straightforward and the templates are professional and easy to customize and play with. I also love that there is an option to order prints "in house" and the results are excellent! It would be useful for someone like me who often works remotely to be able to download an offline version of Lucidpress, so that I can work on various marketing documents on the go. We are creating professional documents to hand out for advertising, such as pamphlets and posters. I love that you can create a variety of different documents in one program and order prints when you are done, rather than having to use a number of different companies to complete the different tasks. "Better then any online create i've worked with." I enjoy working with lucid press because it is intuitive. Everything is where you think it should be and there was little to no time wasted on learning the functionality. I don't have anything I dislike. But if I had to pick something I would say the mail merge is a little off. Solving the issue of creating professional looking pieces for multiple users. This gives people who are not fluent in things such as Indesign a way to still create great looking pieces. "Awesome and easy to use graphic design creator"
I love that I can create quality advertising pieces in an easy to use platform that helps me work faster and more efficient. I dislike that there is a lack of "shapes" to use in the design process. I wish there were some more modern features. It's a great product to be using to if you need to create quality advertising pieces for your business or if you need to develop higher quality content for your social media accounts. I have realized that I can create my own flyers for our company and great content for social media. It'd be cool to have even more template options, like tickets, coupons, etc. "Good enough for design - Best for collaborating"
An easy-to-use tool that can do a lot of things I did before with InDesign. Now all work can be easily found in one place and can be edited by others if needed. Text styles do not always seem to work. The pre-created style will change the font but not the size. Some documents work correctly but not all. Making a table of contents automatically could be a good feature. Easy to use and very powerful app. Sellers working in different cities can make advertising materials, but I can help them as needed and manage the design of publications. 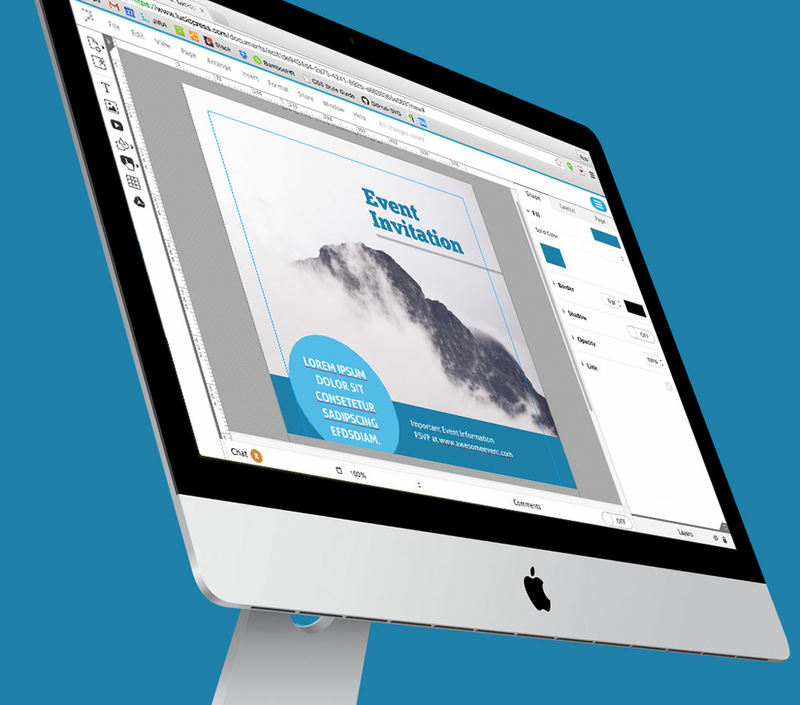 Lucidpress is easy to use compared to Indesign. It allows me to get simple design items finished with its easy to use platform. Very minor, but had to find a download to the font I needed for my project then had to upload it to the platform since it was not included. Took some time but ultimately, I got it to work. If you have trouble with Indesign, Lucidpress will be your best friend! We mostly use it for creating one-pagers for our programs. The main benefit is that the functions are easy to use. Example: the layout of the platform allows for fast color and sizing changes. "Collaboration is a great thing"
This is difficult...I like the collaboration possibilities as well as how great customer service has been with Lucidpress. The only issue I had has been fixed. There was a photo issue on a document. I placed a photo over another photo and deleted the photo from the library, but not on the document. Then when I or others opened the document there WAS a box over the whole thing. 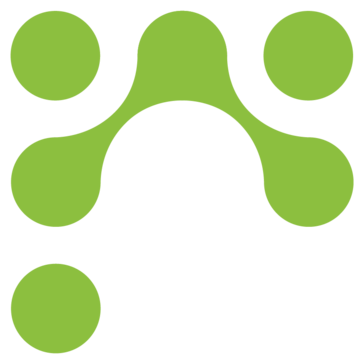 Lucidpress is a simple application that meets website compliance and saves time and money. We are solving the ability to have more than one person in a document at the same time. This saves us time and money in the long run and would be considered a benefit. "Excellent platform for creating educational materials and communication pieces." Since I bought a Mac and was unable to use the complete version of Microsoft Office, this has been my go to application for many documents that I need to create in education - student assignments, handbooks, and newsletters, bulletin board displays, logos or learning panels. I find it very easy to use - drag and drop content, editing pages and entire multiple page documents. I love that it can be shared and collaboration can be used. I'm asking our school to get a membership for our staff so we can use it just as we use Google Apps. I wish some of the features from Lucidchart were available on Lucidpress as sometimes I need to begin there and then copy it over. The ability to work with the shapes in that way would be great. I would recommend more font and shape options for more artsy graphic design so I don't have to also use Canva. We have created a staff handbook on this platform. "So simple to create on Lucidpress!" Many options; simple to use. Enables my students to devote attention to writing assignments coupled with the visual presentation design process. They work in tangent. This is better for my visual thinkers who are not as comfortable with writing. Both parts of the process are addressed in tandem. If new ideas come forth while during "production" the publication can easily be changed to incorporate those. The students seem to "get it" with immediate visual results. They learn this pretty quickly. Difficulty with passwords; it kept asking for a new one. Repeatedly. Faster positive results in students willingness to write for Language Arts. They get excited to produce their work. They seem proud to see themselves as legitimate authors, with a printed final piece. The fact that our team can share in the work, including non-designers. It's (fairly) intuitive. Well, it's not Adobe. Then again, there's not a months-long learning curve. Could definitely use more graphics capabilities. A dream product would offer the layout capabilities of the old Adobe Pagemaker, along with graphics editing features (like those in the previous iteration of Gimp or Paintshop Pro before Corel bought them and destroyed the product). Also, the sharing function in shared file folders seems kinda wiggy; you shouldn't have to share specifically again with individual or group team members if you're creating a file in that shared folder. We also use easel.ly to create infographics. If there could be a convergence there somehow that isn't endlessly price-gouging for graphical elements, that would be totally awesome. It's not perfect, but it's extremely handy, especially for non-designers and not particularly tech-oriented folks. We use this as a fast and dirty way to collaboratively create flyers, SM memes and other graphical pieces. It's been particularly useful for staff who want to collaborate on content but don't necessarily have much design skills, or when our tiny crew of comms staff wants to be able to easily collaborate on creating content on tight deadlines. It's simple, fast and pretty stable, which is a huge asset.